EIGHT CUMBERLAND CONDOS. THIS CONTEMPORARY 64 STOREY GLASS STRUCTURE IS A TRUE TRIBUTE TO MODERN URBAN LIVING. 8 Cumberland presents presents elegant condominium living from $400’s. Explore fine galleries and museums, indulge in the city's best restaurants & patios and shop the latest designer collections. 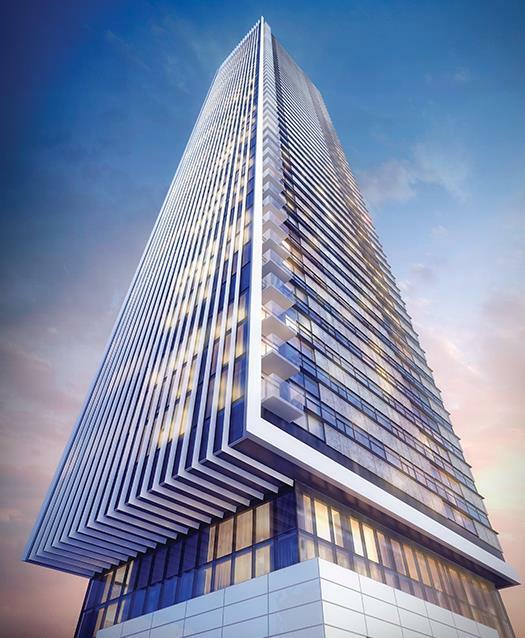 8 Cumberland Condos is a new 64-storey mixed-use building located at the northwest corner of Cumberland Street and Yonge Street in Toronto. A Walkscore of 100/100 and a transit score of 97/100 make 8 Cumberland Condos World-class location a Walker’s and Rider’s Paradise with an easy walk to both Bay and Bloor-Yonge subway stations. The proposed development will retain the existing heritage building facades on Yonge Street and is comprised of 413 one-bedroom and 118 two-bedroom units. An indoor amenity area of nearly 13,000 square feet and an outdoor amenity are of close to 6,000 square feet is proposed on the 4th and 5th storeys. The residential lobby/lounge area is located on Cumberland Street. The 3-storey podium portion of 8 Cumberland Condos will feature 15,000 square feet of retail space. Nearby parks include Harold Town Park, Asquith Green and Jesse Ketchum Park.